What do you imagine when you hear the word "doctor"? Maybe you are brought to think of a familiar surgeon or physician at a hospital, a veterinarian, or another type of doctor. To some of us, a doctor, who is a combination of skillful techniques and sweet smiles, is someone that makes us feel secure because we know we can completely entrust ourselves to this person. Some people, however, may find riskier medical acts fascinating. Having back surgery, for instance, is particularly scary because it requires advanced skills to complete. Yet it may be just this fear that makes us admire doctors even more. 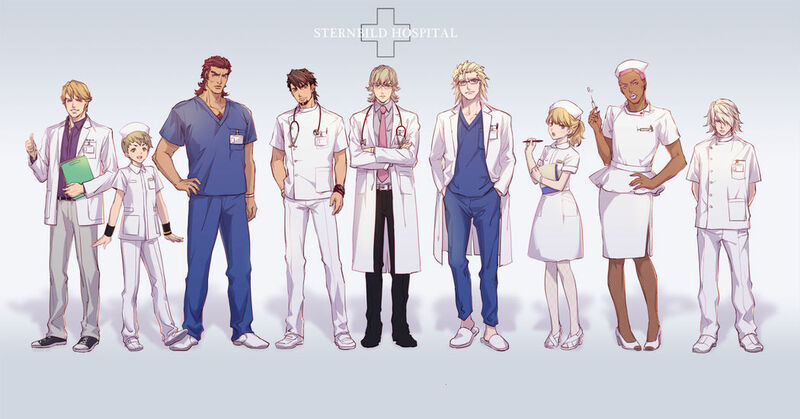 This time we are featuring illustrations of various types of doctors. Enjoy!